We were deeply saddened to hear about the tragic Manchester attacks that took place during the Ariana Grande concert on 22nd May 2017. The devastating bombing claimed the lives of twenty-three adults and children and injured 116 people. Ariana Grande has reportedly offered to pay for the funerals of the victims who tragically died after her concert took place. Although it has not yet been confirmed, it has been widely commented that Ariana herself reached out to families of the loved ones who sadly passed away. As a professional funeral director, we understand that funerals can be costly and stressful to plan. Families and individuals arranging funerals require the utmost support, respect and guidance. We’d just like to take the time to comment on the sad event and Ariana’s kind gesture. In times of sorrow, humanity prospers and we pay our respects to all those involved in the attempt to make the best out of this damaging situation. Used to supporting families throughout difficult times, ISCA Funerals is competent in guiding people through the funeral process and aim to keep the cost down during difficult times, Therefore, we understand that although it cannot ease the pain of loss, it can eliminate stress and worry over affording a funeral service. As well as the rumours of Ariana Grande offering to pay for the victim’s funerals, she held a benefit gig with special guests including Justin Bieber, Liam Gallagher and Coldplay. 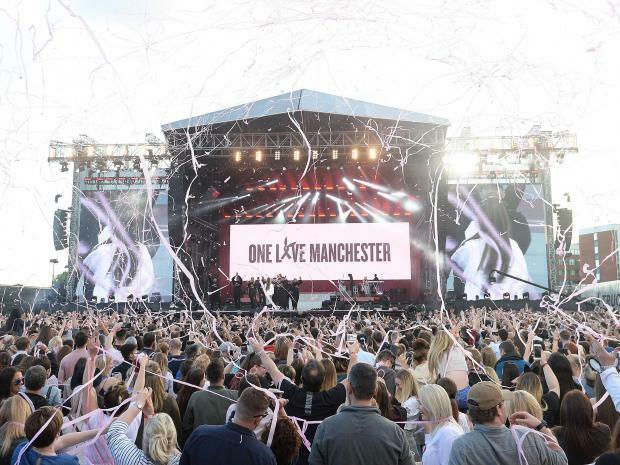 ‘The One Love’ Manchester-based show offered free tickets to the victims who attended her arena show on 22 May. All proceeds will go to the We Love Manchester emergency fund in connection with the British Red Cross. The concert held on the 4th June was a night of unity, love and emotional healing, and despite the unthinkable circumstances, stars presented themselves in a celebratory manner and unified to raise money and remember the victims. The night raised £2m for families and victims through online donations, which brought the total to more than £10m. ISCA Funerals are available via a 24/7 helpline, we are based in Exeter and support those across the South West seeking low-cost funerals, custom funeral services and guidance. Please fill out our contact form or give us a call at your convenience if you’d like to learn more about our services.